Kodi and Dusty are have trouble telling their feelings for one another. Plus Dusty mom is trying to stop Dusty from going out with as she says "A dumb Hybrid." 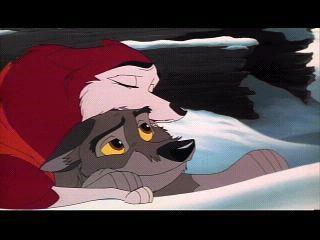 Balto, Jenna, Kirby, Ralph, and Max try to help them be able to be together. You need a bio. Name:Kodi, Family: Balto Jenna Saba Dingo Alue, Crush: Dusty, Mate: None, but wants it to be Dusty, text color: This.